The ability to engage your customer and collect insight on what makes them a buyer is critical as mobile marketer. Using some basic market research techniques like interviewing or surveying successful marketers is fairly simple via the internet. Once you have identified marketer to interview, send an email or pick up the phone and set up an appointment with them. Don’t worry about them saying No, it rarely happens 80 percent of the time they will say yes if politely ask them for 15 minutes. Facebook, Twitter and Instagram are great platforms to quickly engage your audience. Don’t worry if your creatively challenged there is help available . Do a quick search on the internet on how to run a Social media campaign, like running a selfie contest. Understand this, the opportunities in mobile just like with the web are endless so don’t feel like you're missing out on the gravy train. When rolling out a new campaign, think about how you would want an advertiser or marketer to approach you. Understanding my likes and dislikes first and the app or service that I may touch or swipe before I do it is important. Utilizing this approach will allow you to focus on the user experience that you want your potential clients to have. Another quick idea to get you started in mobile marketing is to actually run a small campaign on a test product prior to your big campaign. SMS texting campaign makes it really easy for consumers to sign up to your list just by texting a keyword to a shortcode builds your brand and engages your client. One or two messages like this each month is an effective and quick marketing strategy. There are several thousand different types of mobile phones, mobile operating systems, Wi-Fi and several hundred carriers in the mobile space today. With so many variables that are in play you can’t go in the mindset of your traditional marketing or even online marketing. 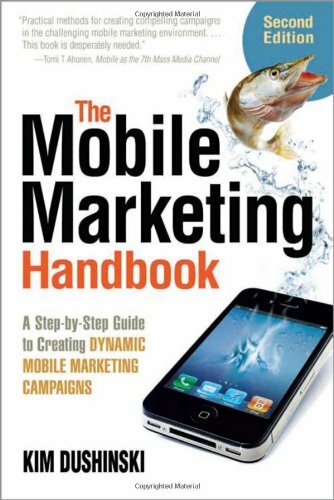 Mobile mobile marketing strategies need to be unique and flexible to your target audience. The one thing that is still certain is that traffic is key to growing your mobile marketing business. Learning how to effectively drive traffic to your mobile site or App takes practice. Two quick tips to help you drive mobile traffic : 1) apply the basic rules of webdesign and seo to your mobile site. 2). Content is king and content attracts traffic. Those people or agencies that know how to drive traffic to their product or service will become valuable assets to their organizations. Everything in mobile is a trend now I could rattle off 10 different trends that are going on now like security, mobile commerce, MDM, gaming, In-App purchasing, hyper-local and so much more. Start your own trend become an expert at it now the all the data and how to drive traffic to what it is you're doing and see the revenue come in.